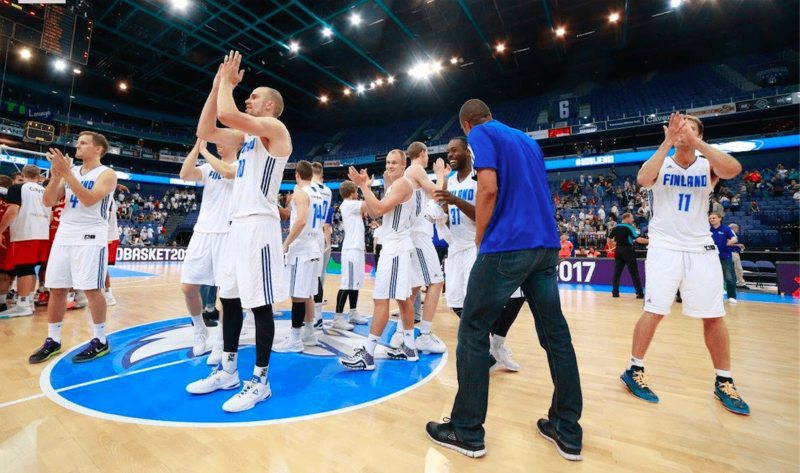 Finland’s National Basketball Team, known as the “Wolf pack,” is preparing for the European Basketball Championship in the summer of 2017. For the past decade, Wolf pack’s coaches have successfully surpass their comfort zone with Extended DISC Assessments. Coaches use the development tools to improve individual athletes’, coaches’ and team’s performance. Ten years ago this team was not even ranked globally. Today the Wolf pack is ranked 32 in the world. Initially ten years ago, this team was ranked #32 in Europe. Today they are in the top ten, ranked at #9. Extended DISC’s Managing Director Jukka Sappinen says the company has learned a lot from the working relationship with the Wolf pack. In basic terms, the Extended DISC assessments identify each person's own comfort zone. Comfort zone data show where the individual’s most significant strengths can be found. These identified individual strengths can be optimally utilized for the group objectives. For over 25 years, consulting, executive coaching and training firms have used Extended DISC assessments. Firms are looking for ways to help their organizations improve their performance. Nowadays, sports organizations are starting to realize the benefits of using Extended DISC assessments. “Sports are excellent fields of applications for our products. While helping business organizations succeed is our main business, working with the Wolf pack has been particularly broadening for us. You cannot measure success in the business world quite the same way as you can in sports. The most competitive, top-level sports are a great setting to further develop and enhance our methods, tools and assessments,” observes Extended DISC's Managing Director Jukka Sappinen. Sappinen sees Extended DISC's experts’ roles as “the coach’s consultants.” Aiming to help the players as well as the coaches is the mutual goal. The focus is to achieve a deeper understanding of one’s own ability and development targets. In the end, this will contribute to the team's cohesion and competitiveness success. “In my view, our mission is to help the coaching staff to understand what they can expect from their players and how the individual players can be assigned into roles that best serve team's common purpose,” says Sappinen. “Similarly, we help players blend into a one, strong team, where everyone can be successful with their individual strengths and style. We are all unique individuals and creating a broader and deeper understanding between athletes proactively prevents conflicts, and helps team to achieve a common goal. Wolf pack’s head coach Henrik Dettmann believes the Extended DISC assessments are excellent tools for team development. “ ‘You play the way you are’ is one of my favorite sayings. The most gratifying part of our cooperation with Extended DISC has been the increased understanding and acceptance of diversity. The human innate behavior patterns extend all the way to the game,” Dettmann said. The Wolf pack has found their optimal DISC comfort zone and continues to use the DISC assessments successfully into its second decade.